What's better than an Indian wedding? 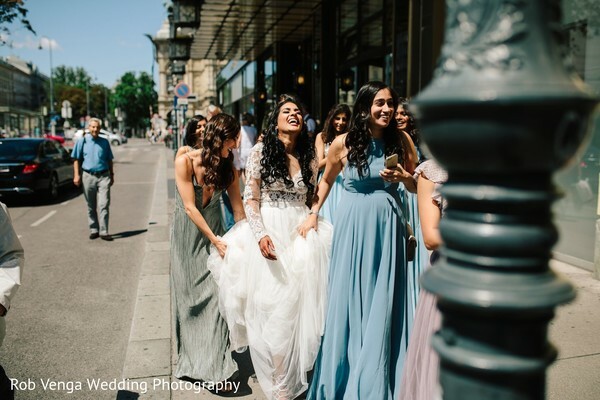 A fusion Indian wedding, of course! 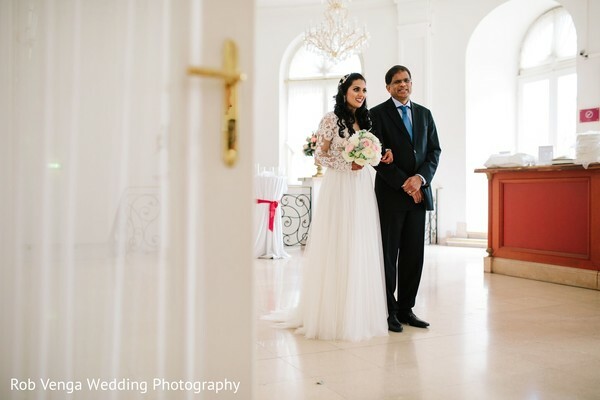 One that exudes class, style and grace could only be captured by a stellar photographer and today we travel to Austria for Aditi and Jeff's fabulous fete. 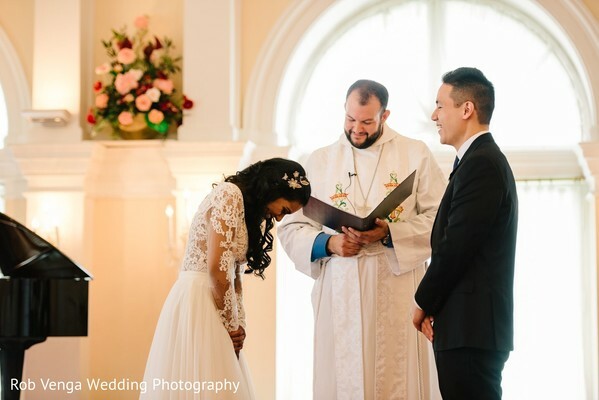 Rob Venga Wedding Photography has captured all the heartwarming moments that we have come to cherish. 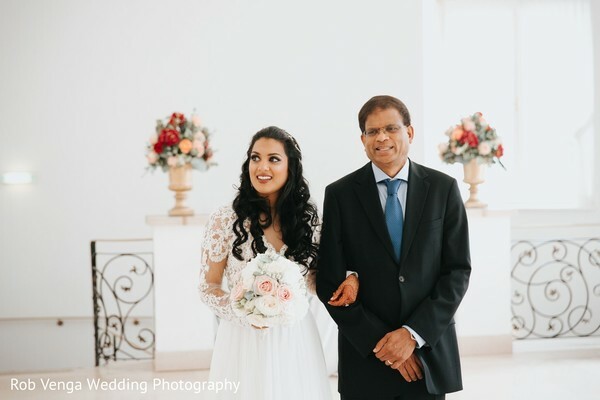 For her Western ceremony, the bride slipped into a white wedding gown that was beautifully crafted, lavished in lace and billowing chiffon that added that Maharani flair. Doll Blumen delivered a floral décor look that most certainly created a circle of love. 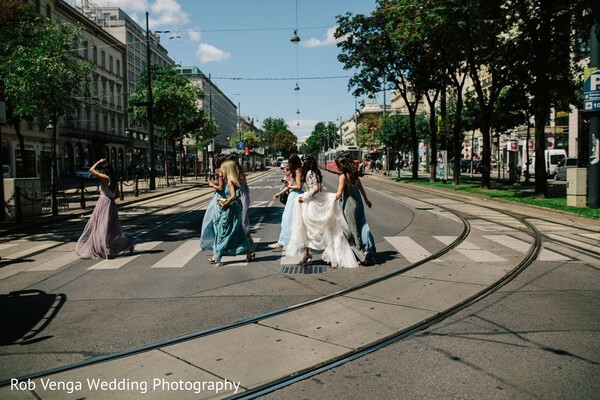 Planet DJ Productions brought the USA talent to Vienna and ensured party guests remembered each move made on the dancefloor at the reception party! 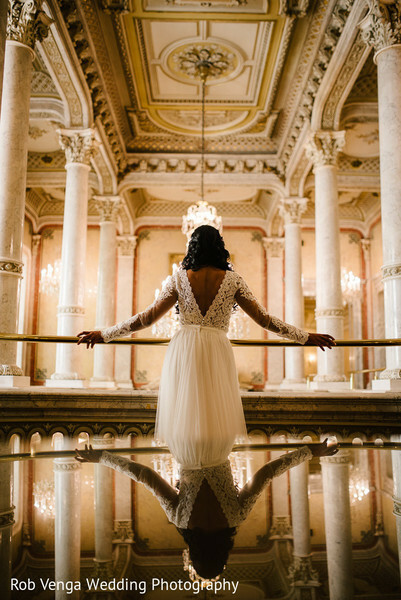 Planned and designed by Manuela Princic, take our word for it - you won't want to miss a beat! As an extra bonus, we featured Aditi's fusion festivity in the glistening pages of the 2017 Maharani Weddings Magazine! Step right up into our gallery for all the endless images.